This smart sleeveless vest had standup round collar. The amazing feature of this jacket has side open with laces closure which makes this jacket jazzier. The front of the jacket has beautiful embellishment so that you can carry this attire as a fancy outfit. Visit here Celebs Leather Jackets. 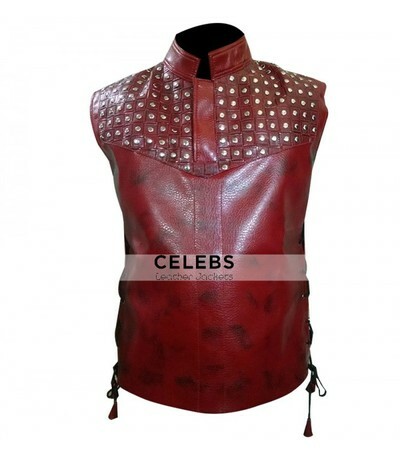 Car boot sale ad details Into The Badlands Daniel Wu Sunny Red Vest for sale in London. Into The Badlands Daniel Wu Sunny Red Vest available on car boot sale in London. More Coats & parkas for sale in London and more second hand sale ads for free on 2lazy2boot - London car boot fairs - 41665.